One of America's most historic states, it ranges from the urban flair (and grit) of Philadelphia and Pittsburgh to the bucolic beauties of the Poconos, Dutch Country, and Bucks County. And for history, don't you dare miss Philly and Gettysburg! Started by Tripatini Dec 7, 2018. Started by Tripatini May 27, 2018. Started by Max Pesling Jul 4, 2017. You need to be a member of Pennsylvania to add comments! Swimming season is NOT over in the Northeast, at least not at the resort with the largest water park -- and much of it is indoors, too -- in Pennsylvania, a state that has multiple pull-out-all-the-stops water parks. Travel Daddy explains it all. As far as we're concerned, there is no better ballpark. Today on the Fields of Dreams at The World on Wheels, our absolute favorite baseball Stadium. It's our 2013 update for Pittsburgh's PNC Park, now with a contending team! 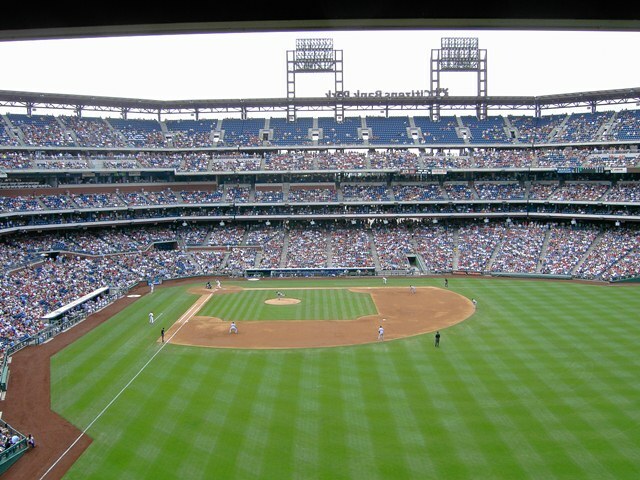 From the City of Brotherly Love, this week's Fields of Dreams update at The World on Wheels takes us to the home of the Schmitter...Citizens Bank Park in Philadelphia. Darryl, we buy all our flammable liquids in New York City. Yeah, I thought Utah was bad until I got to PA. Luckily, most places we've been to in PA have been close enough so we could make a run to the border for some more liberalized sales. Yup, that's the olde Quaker heritage. It was worse when I was a kid. My family used to go to Pennsylvania on Sundays, and you could not buy beer in that state on the sabbath, so my father would bring a beer from NY, stick it in the stream by the restaurant where we ate, and then BYOB into the restaurant. Hey, Darryl, is the part about the alcohol laws in a different blog post, or did I just miss it when I read this?